It’s an ongoing, seemingly never-ending debate: the question of whether Australia can claim “real” powder snow the likes of that which falls in Utah, Colorado, Japan or the European Alps. 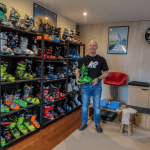 Almost every skier and snowboarder has an opinion on the topic. But when an Olympic champion chimes in, it’s hard to keep arguing. Lassila points out that when the snow is untracked and deep, it doesn’t really matter if it’s a little heavier than in colder climates at higher elevations. Especially if you don’t have to buy an international flight to carve fresh turns in it! However, there are resorts around the world that undeniably receive more consistent, lighter powder snow than Australia. According to David Jones, the Manager of Climate Monitoring and Prediction at the Bureau of Meteorology, this is because overseas climates are more suited to providing two essential weather ingredients: precipitation and low temperatures. Jones explains that as long as some precipitation falls (which is common when moist air hits mountains and lifts to form clouds), a relatively dry climate can lead to quality powder. Drier snow has more air in the snow pack, so tends to accumulate as the light, fluffy snow that ski dreams are made of. The desert state of Utah in the US is a prime example – it claims to have “the greatest snow on earth”, yet according the Western Regional Climate Centre in the US, Alta receives only 1,371 millimetres annual precipitation. This is less than the annual precipitation recorded in Thredbo village by the Australian Bureau of Meteorology (1,751 millimetres). 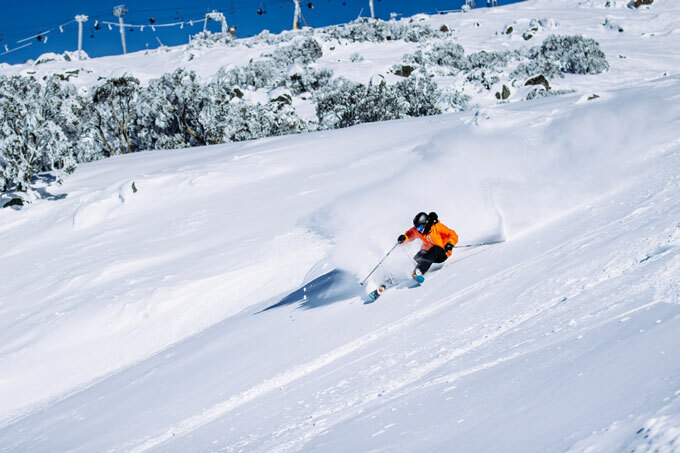 Yet while Alta boasts more than 13 metres average annual snowfall, Thredbo receives only 2 metres. This is because Australian mountain climates fall short on the second all-important ingredient for powder: low temperatures. Unfortunately the elevation of Australian alpine regions is not quite high enough to maintain such low temperatures all season. In fact, our “mountains” are sometimes called “hills” when compared to the heights of overseas resorts. While the highest lifted point in the Australian Alps reaches a modest 2,037 metres above sea level at the top of Thredbo, the highest chairlift in Breckenridge, Colorado, almost doubles it at 3,914 metres. This is why Aussie ski fields tend to see a mix of rain and snow more often than powder. 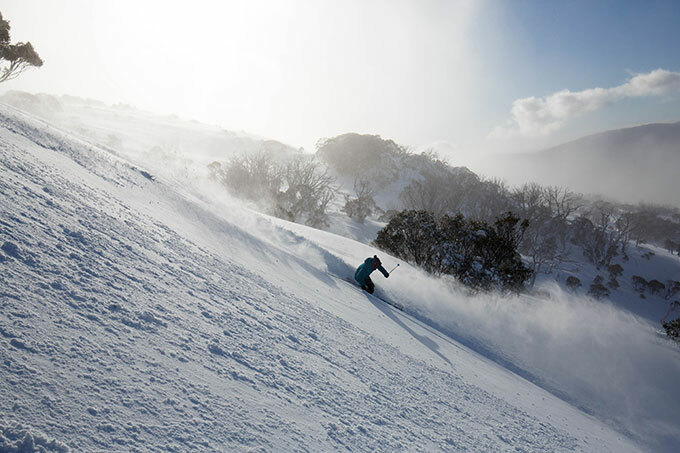 At such low elevations, Australian ski resorts rely on cold fronts and low pressure systems to bring snow. This means that some of the best powder days will coincide with howling winds and blizzard conditions – so bluebird powder days are rare. However, if you can brave the weather, Australian blizzards often deliver deep, very “real” powder snow that is as good as it gets overseas.